As a Project Manager, I am responsible for choosing the appropriate music/Producer for an artist’s song. Sometimes, artists come to the table with a track (music), already but if I don’t consider it up to par quality-wise, it will not be used. But I always provide an amazing alternative. As a songwriter, I am responsible for coming up with lyrics and arrangement (how the lyrics are sung over the music) for an artist’s song. Sometimes, artists come to the table with lyrics already written and all they need is me to establish arrangement of those lyrics. If I don’t consider the artist’s lyrics up to par quality-wise, they will not be used. But I always provide an amazing alternative. 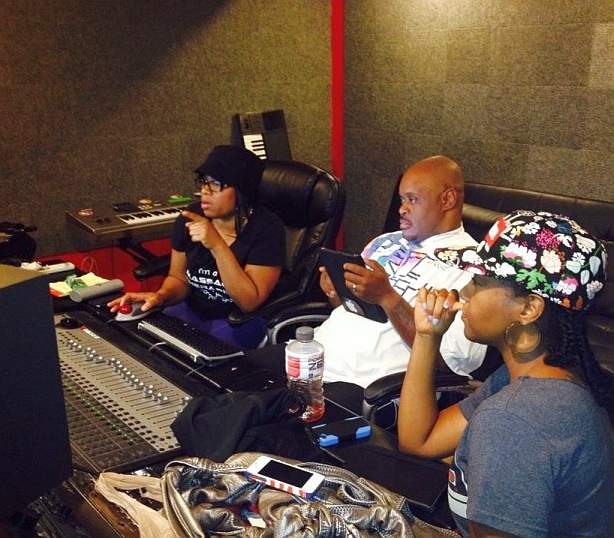 As a Vocal Producer, I am responsible for making sure that the artist is on point with vocal notes and delivery. Essentially, I am a vocal coach for them while they record. If anything is off key or whack, it is up to me to direct the artist in a way to make the wrong, right. Sometimes, artists feel they don’t need Vocal Production. Most often they do. Even people who are awesome vocalists need to be directed. Lebron James still has a coach. Feel me? This is what I do. I generally work with local and national unsigned and independent artists of all genres who are looking for major label sound and industry recognition. I continue to get new clientele on a regular basis, based on my work ethic, attention to detail, and expertise in this area. There are many hours that go into this work. While most people are at home with their families eating dinner, I am in the studio until late hours of the night. But I don’t mind. I truly love what I do and am blessed to be able to do so. With the level of excellence that my team and I give to each client, we charge a reasonable and fair price. We are a 1-stop shop. You get a songwriter, vocal producer, project manager, Producer/music creator, Engineer, studio hours, and a professional song mix for the price we quote. In other words, several people must be paid out of that price. There are those who hear the price, smile and say, “Really? I get all this for only that? When can we get started?” On the flip side, you have those who hear it and say, “Really? My cousin’s boyfriend has a studio in his basement and told me he would do all this for me for $100.” That’s when I shake my head and fade to black. lol. They have this expectation that I am supposed to bargain with them to negotiate a cheaper price and then look annoyed when I don’t budge. Hold on y’all, I’m getting there. I promise. Bear with me. Check it, no one is going to invest in you if you’re not even willing to invest in yourself. If you settle for what you can get for a discount, there is a strong possibility that your product may sound exactly that way. This goes for many areas of life…not only music. 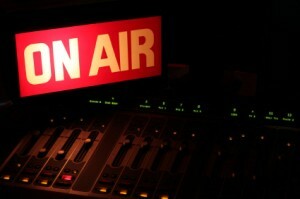 The quote I listed at the beginning of this blog is from a radio Program Director who actually gives independents a chance to be heard on FM radio with the possibility of being added to regular rotation. His post today came from a place of major frustration with receiving these low-to-no-budget submissions from artists who claim they want their music played. To be honest with y’all, my team and I are considering raising our fees. We’re not trying to get rich off of anyone, we’re just being fair to ourselves. We work so hard and have been steady at the same prices for years. Everyone gets a raise on their job at some point! In the big scheme of things, we have very reasonable prices…trust me, I’ve checked out the price lists of several studios and their services and am amazed how much some folks charge. But at the end of the day, it’s all about expectations and what you are willing to accept. 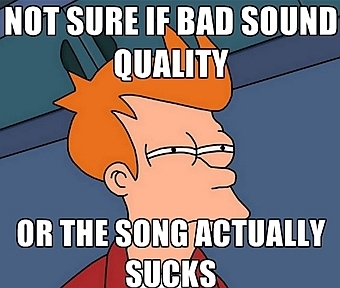 I urge all independent artists to really analyze your songs. Play your song and play a major artist song behind it. Is the quality the same? Are the levels similar? Get a few listening ears of people you trust. No “yes men”, but people who will be honest with you. Remind yourself that you don’t have to write ALL your own material. It’s okay…really it is! If you wrote it but no one is checking for it and it’s not catchy or commercially viable to be picked up by DJs or radio, then give someone else a chance to take a stab at it for you (if your goal is radio). You may be surprised. No one has time, money, or resources to waste. Unless you are doing a CD for your own listening pleasure, you are doing it as a business or ministry…meaning your desire is for it to be heard by the masses. Make sure it’s dreamy for the ears and not going to cause someone to clown your efforts and give them nightmares. If that means you need to pay a little more than you may want to upfront, do what you need to do to give it the best chance possible. I’m signing off y’all. That’s my 2-cents. It’s Wednesdays With INDIGO!! This entry was posted in Wednesdays with iNDIGO and tagged advice, good music, independent artists, indie artists, indigo inspires, jocelyn saunders, music, program directors, radio play, recording studio. Bookmark the permalink. 2 Responses to Don’t Play Yourself: For Independent Artists. Not sure WHY I’m just seeing this, but uh…yep. On point luv.